The next Tyler Perry Madea movie. Madea is back this holiday season. This time she will have a larger more well known cast including Larry the Cable Guy (Blue Collar Comedy), Lisa Whelchel (The Facts of Life),and Chad Michael Murray (One Tree Hill), and we all know Tyler Perry will be in it. The synopsis of the movie: Madea dispenses her unique form of holiday spirit on rural town when she's coaxed into helping a friend pay her daughter a surprise visit in the country for Christmas. 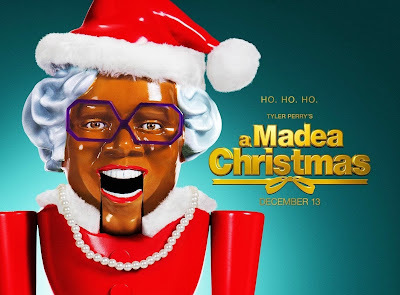 From the looks of this trailer, it looks as this movie will be more Madea based, which is great because then it will be a great holiday comedy this season. Tyler Perry's A Madea Christmas is in theaters December 13th.